Large-scale networks of interaction and exchange have existed on the East African Swahili coast for at least the past two millennia, linking coastal populations with South Asia, the Middle East and the African Interior. The connections coastal inhabitants nurtured along those networks were crucial to the development of Swahili urban society in the early second millennium CE. 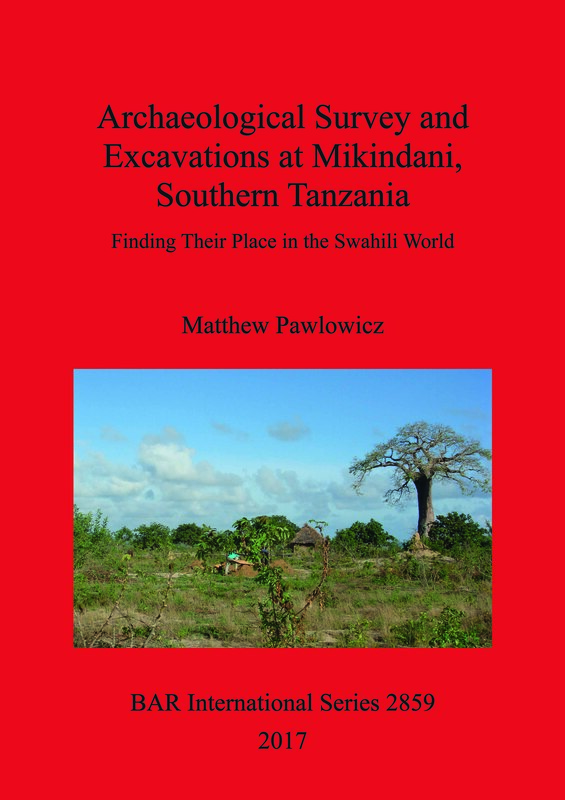 The archaeological project detailed in this book explores the functioning of Swahili networks by examining their influence in the region around the town of Mikindani in southern Tanzania through a thorough programme of survey and excavations. The Mikindani project is the first of its kind in Tanzania south of Kilwa, and provides an opportunity to investigate Swahili life away from major centres in more modest towns and villages. In so doing, it reveals historical trajectories for coastal communities that rely more heavily on interior than Indian Ocean connections, emphasizing coastal variability, identifying additional paths to socioeconomic success and recognizing that elements thought 'characteristic' of Swahili culture - including participation in trade - were part of social and economic strategies that were adopted, or not, to suit regional circumstances. Matthew Pawlowicz has been involved in African Archaeology since 2003. He received his PhD in 2011 from the University of Virginia and currently teaches at Virginia Commonwealth University in the United States.